Agencies: Federal Bureau of Investigation - FBI | Jackson Police Department Mississippi. 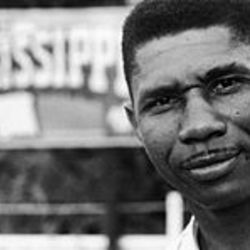 On June 12, 1963, white supremacist Byron De La Beckwith assassinated Mississippi civil rights leader Medgar Evers in the driveway of his Jackson, Miss., home. Evers’ wife, Myrlie Evers-Williams, and their three children, Darrell, Reena and James, were all inside when they heard the shotgun blast. The children were 9, 8 and 3 years old, respectively. Their mother had allowed them to stay awake to watch President John F. Kennedy discuss the moral crisis in the United States. In a riveting speech that touched on segregation, disenfranchisement, housing discrimination, state violence, mortality and unemployment rates, Kennedy called out the dehumanizing oppression that was suffocating black America—the same oppressive conditions in the same system of oppression that we are fighting to destroy today.